I finally got the new bulb sockets in so I put the instrument cluster back together with new bulbs and the new voltage regulator. 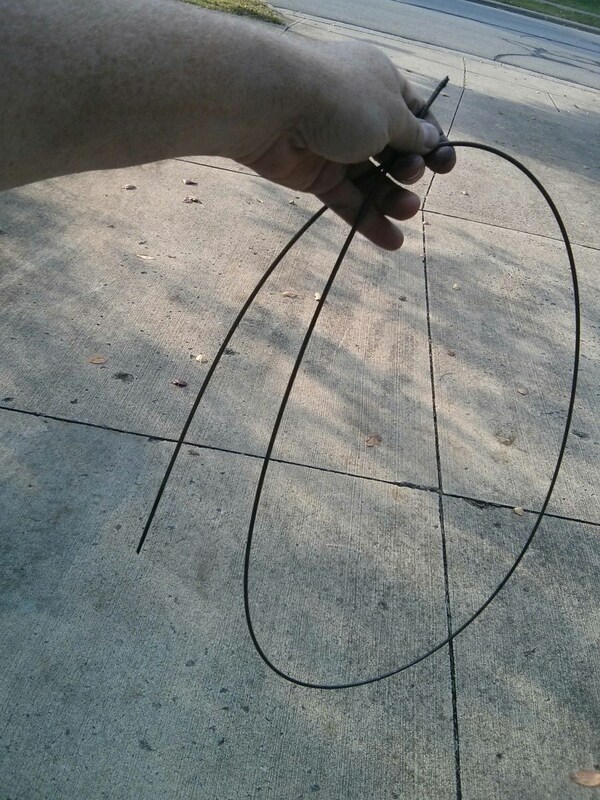 So I ended up taking the drag link back out of the car. The end plugs that came with the rebuild kit are very, very different from the ones that were in there before. Not only are the plugs longer but the slots in the end are a lot shallower. The guide pins are different too. Time to read the manual. And the manual says that I am doing it all wrong. 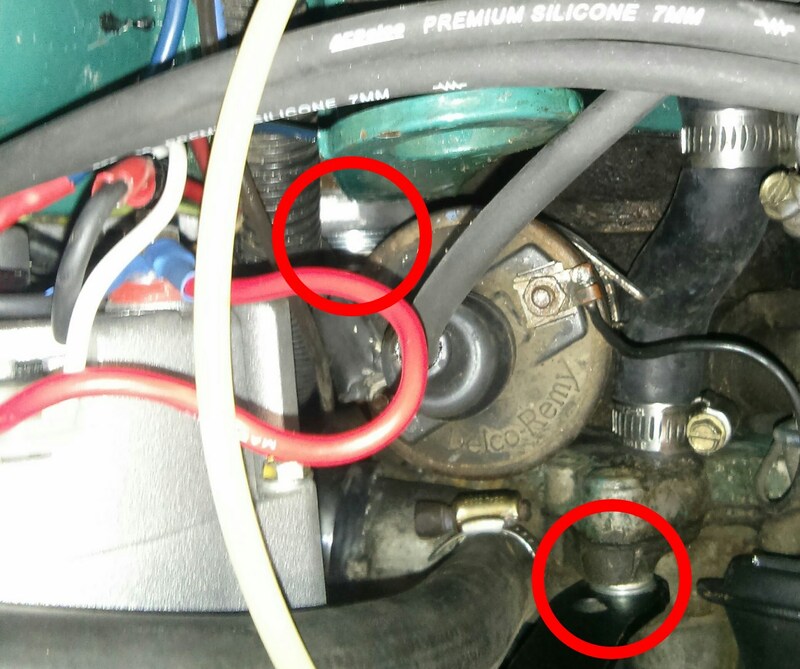 According to the manual the steering box end should have the spring on the outside (plug) end and the bellcrank end should have the spring on the inside end. So I tried to put it together that way. So there is no way to get the ball in that socket. 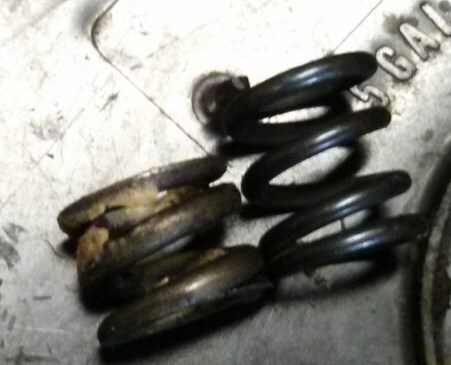 My first thought was to compress the spring. So I rigged up this tool to do it. But the spring is too long. So I put one of the original springs back in which are a lot shorter. But with the spring fully compressed the ball still will not go in there. I am not sure what the heck to do. So I am posting a question on the Jeepster forum to see what the interweb knows. I collected my painted steering parts and started putting things together. 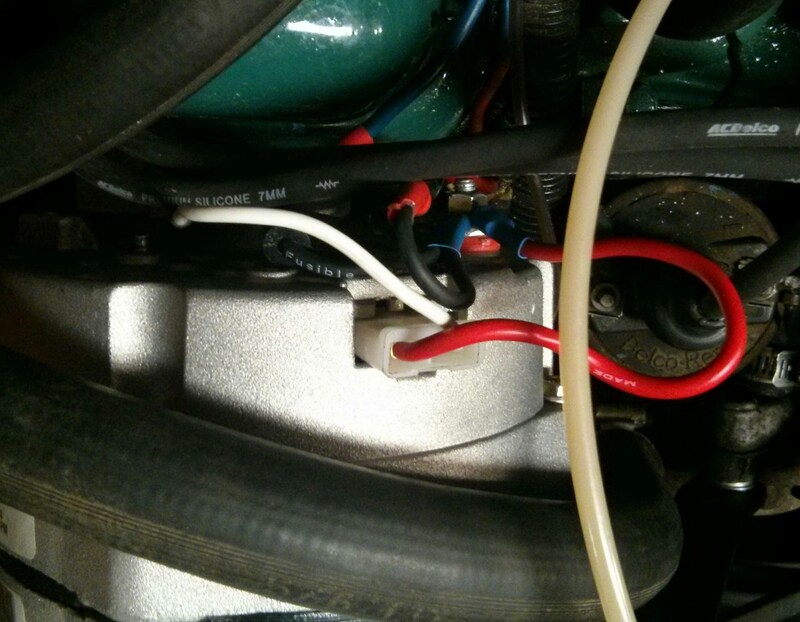 This morning I started back in on attaching the new alternator. First step was soldering in the fusible link. The first wire on the right went really well, The second one not so much. 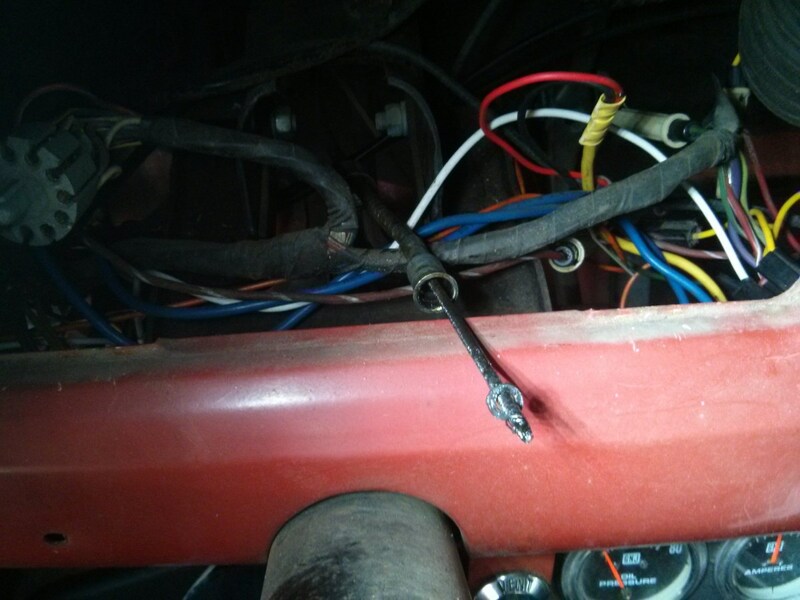 The red wire is original to the car and the solder did not want to stick to the old dirty copper. 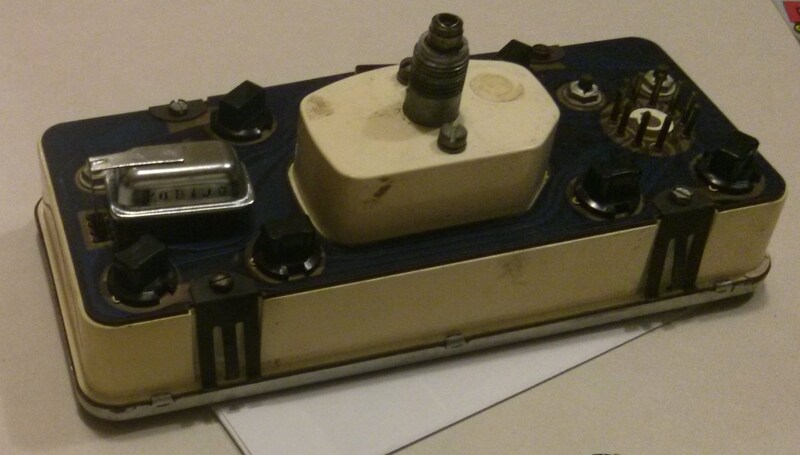 By the time I got it soldered it was a big mess and the shrink tube would not fit over it. Rats. I should un-solder the whole mess and start over but I am ready to wrap it in electrical tape and move on. Looks pretty nice. Then I realized I had not put the wires below the alternator back in the loom so I had to take it apart again and fix it. 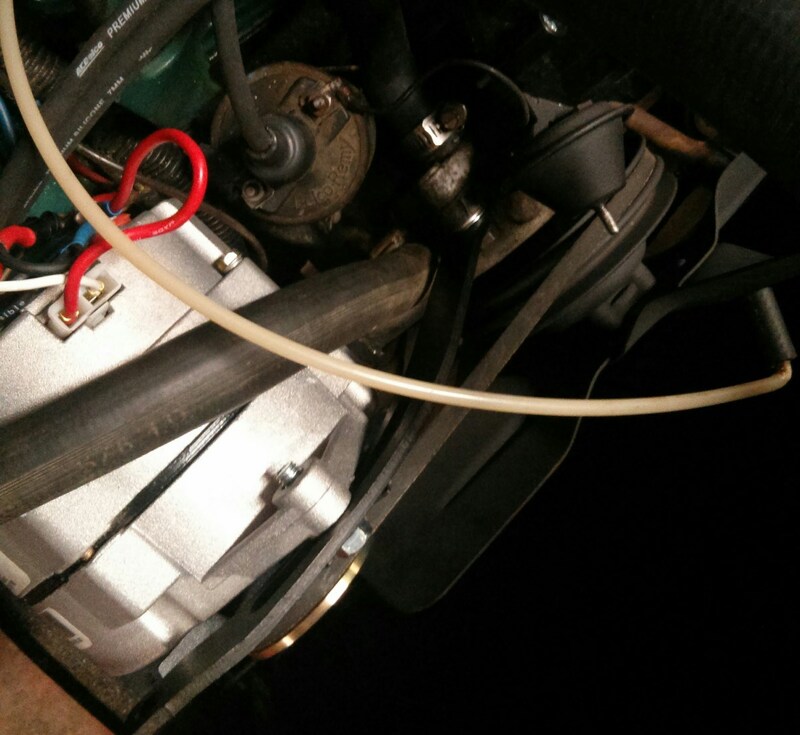 So then I put it together and realized I forgot to tighten the bolt on the alternator bracket behind the coil. So I took it apart again. This time I put spacer washers in there to make everything line up better. The red circles show where the washers are. The mount is nice and tight, wires are loomed, and brackets lined up. 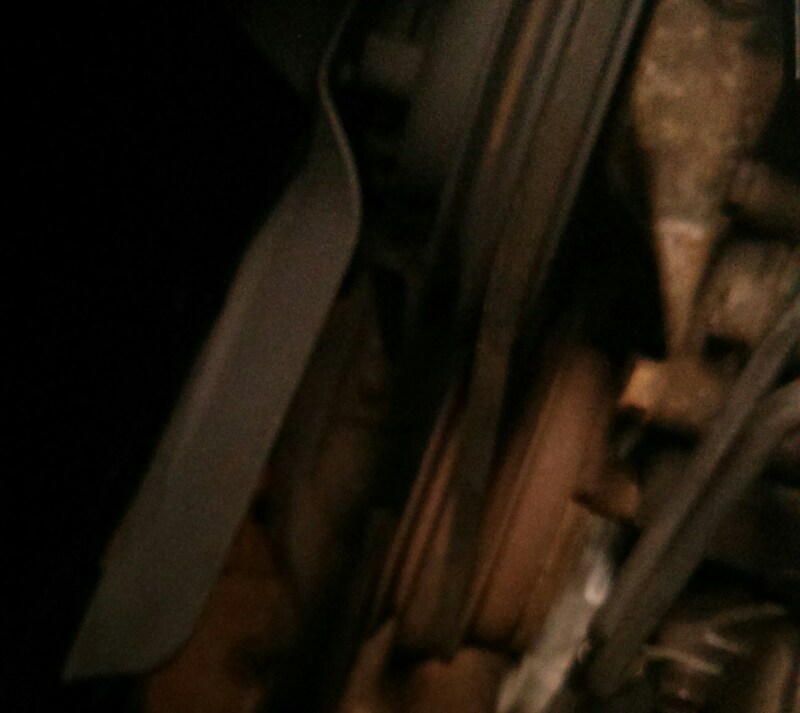 Then I realized I had the belt on the wrong pulley. At least this time I did not have to take it apart completely. I do NOT want to take this apart again. But it looks good this time. 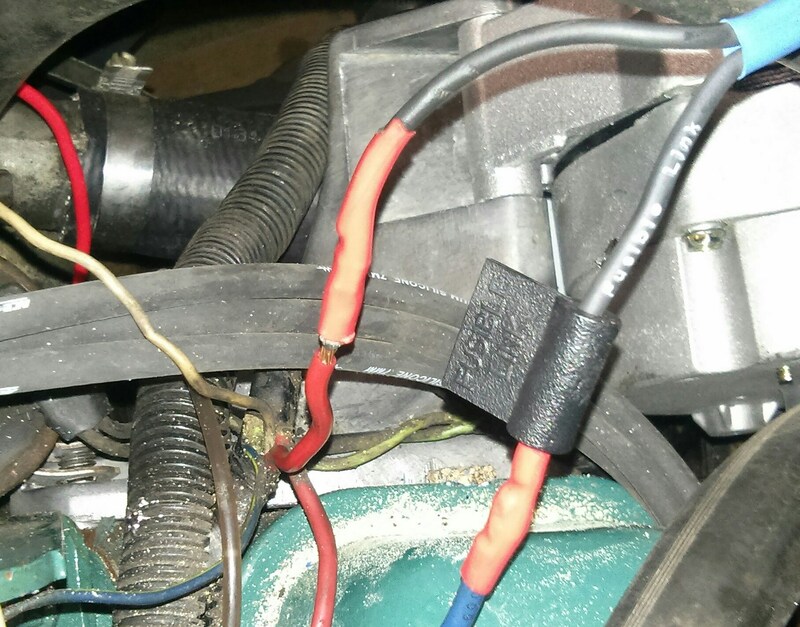 I checked the wiring and the ground on the alternator with a meter. 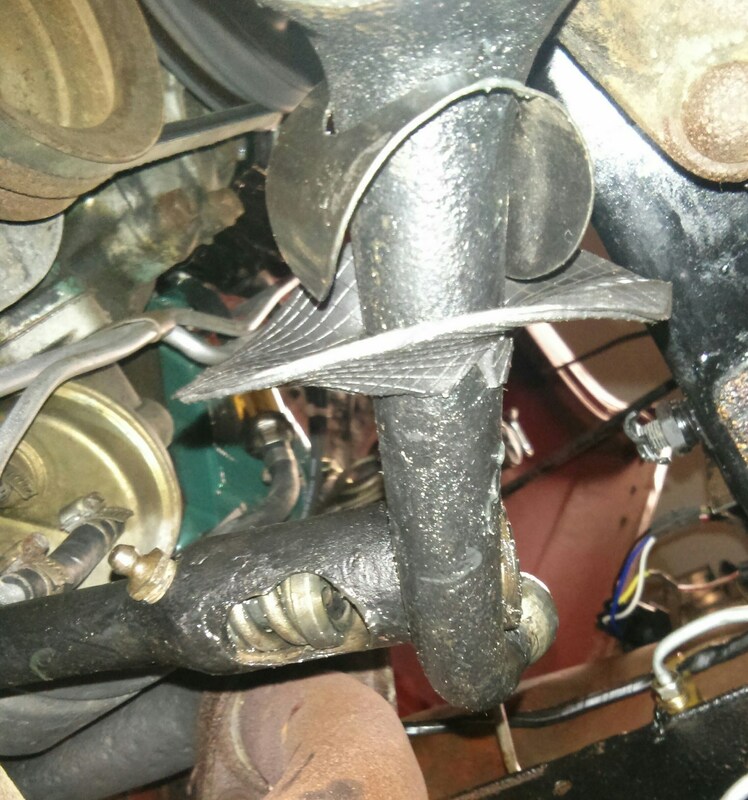 On my last parts store run I also picked up a ground strap. I don’t see on on the engine so I figure better safe than sorry. The plan is to use one of the holes in the frame where the snow plow used to mount for one end and a bolt on the engine for the other. The hole in the frame is pretty big so I rigged up that stack of washers to make it work. I nee.d the big long bolt because the frame is fully boxed. So here is where the picture of the installed ground strap would go but that picture did not turn out well at all so we will just have to imagine it. Speedometer cable time. With the instrument cluster out of the way it pulls right out. I wiped down the cable then fed it back in. As I put it in I lubed it with cable lubricant. 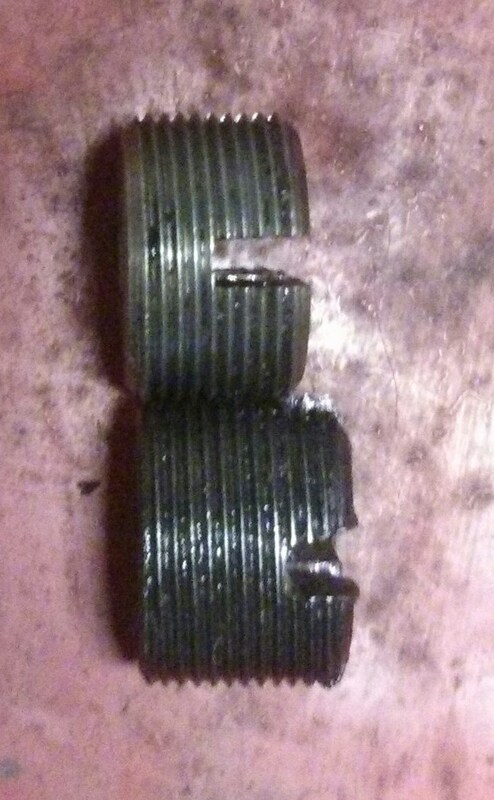 Here is the transmission end of the speedometer cable. I took it loose to make sure the cable got back into its hole correctly. No problems I hope. I still don’t have the bulb sockets for the instrument cluster so I moved on to the steering. I took out the reach rod. 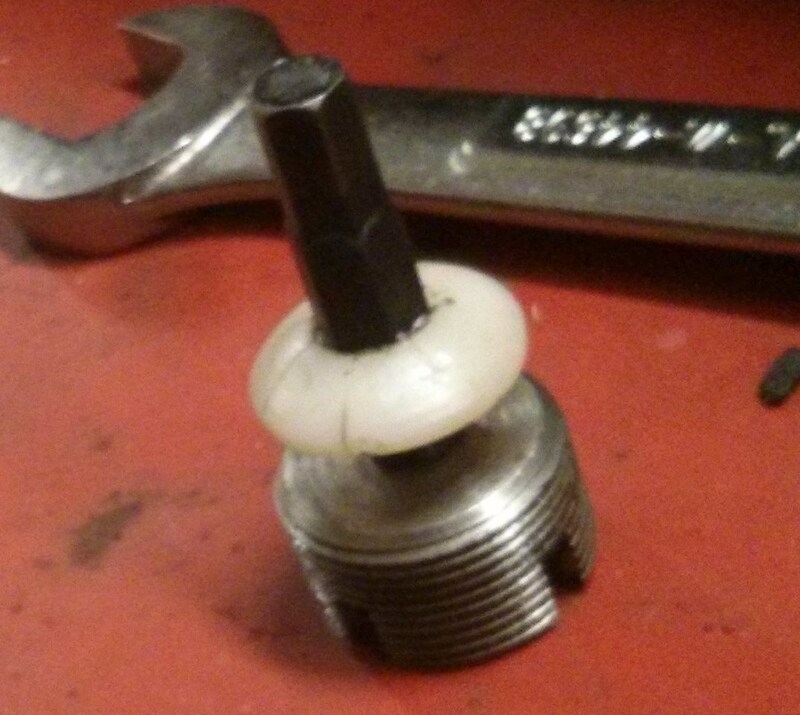 This comes out by removing the cotter pins and unscrewing the end caps until the socket is loose enough to pop off. The sockets are pretty worn but I have a rebuild kit. 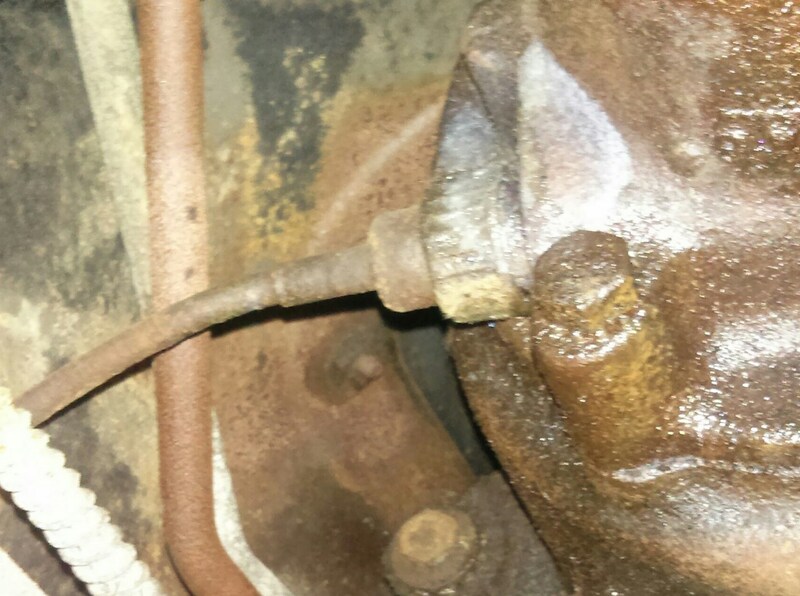 I removed the steering bell crank as well. 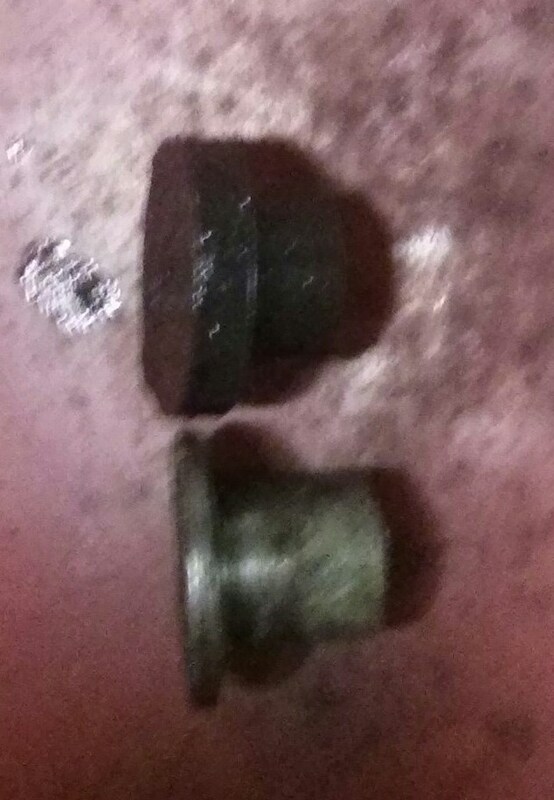 I removed the pinch bolt then the big pivot bolt. I expected the bushing to be badly word but it is nice and tight. 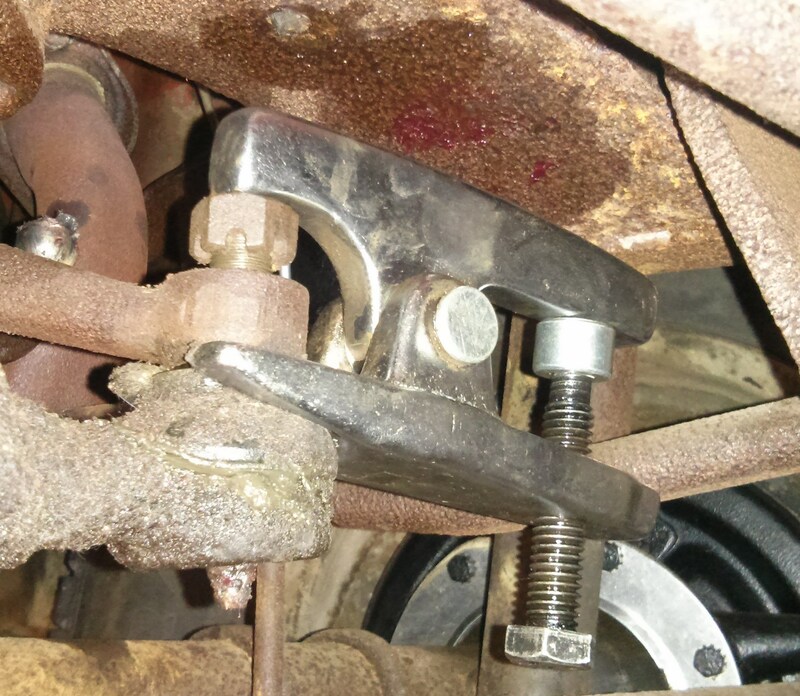 I popped the tie rod end with my nifty tie-rod-end popper. 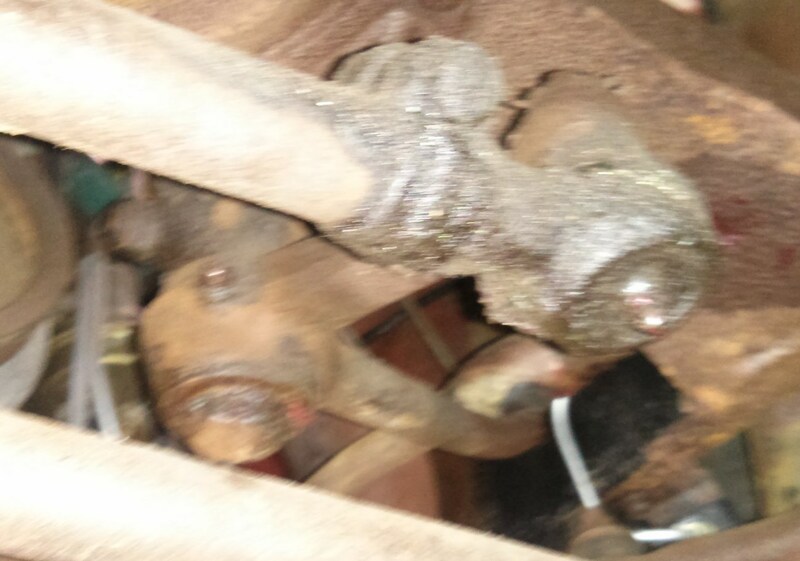 And we have tie rod ends. I measured these and marked the positions of everything so I could put it back together like it came apart. Then I settled in for a parts cleaning and painting party. Then while the paint was drying it started to rain. So the end result was no pictures. But I take some putting things back together tomorrow.